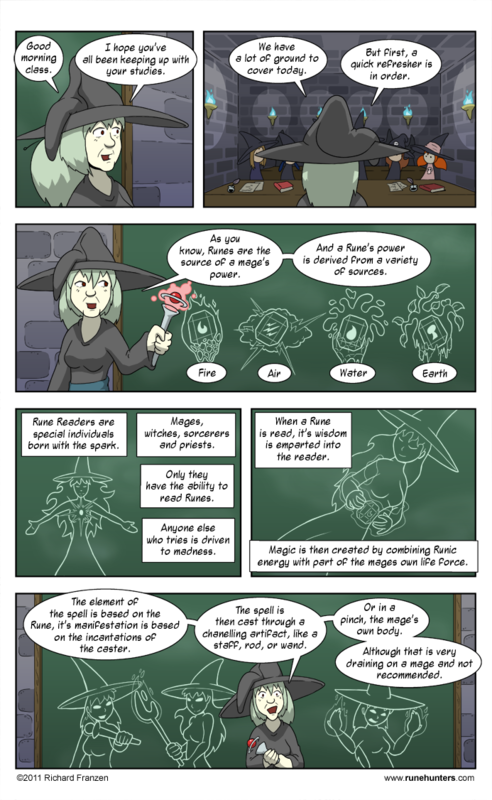 A question I’ve gotten before is about the titular Runes and magic in my comic. Basically asking what’s deal with them, and how do they work. Seeing as how we are now 8 chapters into the comic, I figured that a little flashback to Asura and Kate’s early school days would be helpful in fleshing this out. Also, I figured it has been a long time since we visited the Eldrin Magical Academy for Girls and I thought it would be nice to see it again.